In today’s funding environment, education organizations are being pushed to do more with less, and fundraising is becoming increasingly competitive as funders are no longer satisfied with case studies and anecdotes of success. These important stakeholders are demanding data around student outcomes and proof of an organization’s effectiveness. This situation leads overburdened staff to complete complex, manual processes related to tracking student intake, enrollment and participation in the organization’s programs, while measuring progress and providing sophisticated reports to funders. Not surprisingly, in response to this pressure, many organizations choose to expand their use of technology to reduce the burden on staff, better track students, and gain insights into their results. The impact of these systems includes increased funding, expanded capacity, improved reporting, and a deeper understanding of which program strategies are leading to student outcomes. By automating manual processes, removing data silos, and centralizing your nonprofit’s information, your staff can focus on the real mission: helping students and families. Identify the top organizational process(es) you want to automate or expand with technology. What processes currently limit the reach of your mission because of lack of resources? What type of services could you be offering to further your mission if you were able to incorporate additional technology? Define the goals of your system. What would success look like for your system? What pain points/challenges are you trying to solve? What are the benefits (like time savings, new or improved services, expanded reach) that you are hoping to achieve? Map the organizational process(es) you want to replace/introduce with technology. What are the steps that your staff takes to complete your processes? What information is collected and from what sources? What systems are you using to complete these steps? Who are the internal and external people involved in the processes? Determine your budget and timeline. How soon do you need to roll out your new solution? If your budget and timeline don’t allow for what you want, what are your highest priorities? Make your business case and get buy-in. How much time, money and/or staff capacity can be saved with your new technology solution over time versus how much you’ll spend now? What new services can you provide your students, and what will be the additional impact? How will you track the impact of the system and who will be responsible for this? Identify and select your technology partners. Who should be involved in the selection process? What information do you want from each potential technology partner (examples: delivery methodology, technical features, price of implementation, maintenance and support)? How will you gather this information (examples: formal RFP, informal meetings, demos)? This checklist is a great framework to use during your system evaluation process, but the proof is in the pudding. 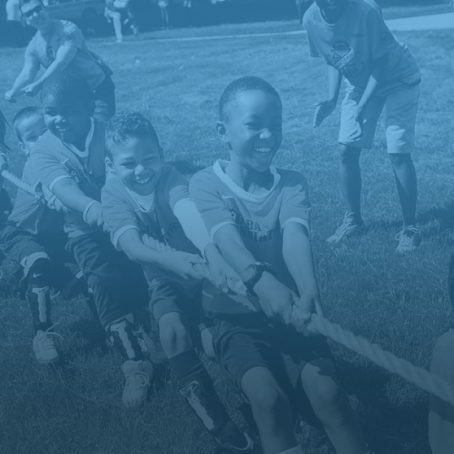 For examples of systems we have built for our education clients on the Salesforce platform, please read the success stories of KIPP Foundation, and OneGoal.